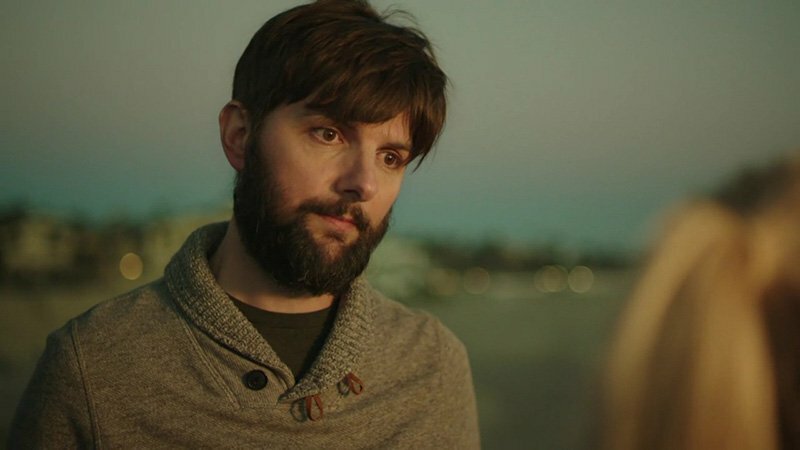 Adam Scott (Big Little Lies, The Good Place, Little Evil) has joined Academy Award winner Jordan Peele’s reboot of the classic anthology series The Twilight Zone for CBS All Access, The Hollywood Reporter has confirmed. While details about his role are being kept under wraps, the actor will be appearing in an episode titled “Nightmare at 30,000 Feet,” an updated version of the classic episode that stared William Shatner in the original series. Scott is best known for his roles in popular television series including Parks and Recreation, Wet Hot American Summer: Ten Years Later, The Good Place, and Big Little Lies. His other movie and TV credits include Ghosted, The Disaster Artist, Little Evil, and Black Mass. Previously it was announced that Peele will serve as the show’s new host, making him the third person to host the series. Previous versions were hosted by legendary writer/producer Rod Sterling for the original 1959-1964 version and Forest Whitaker for the 2002 version. Jordan Peele’s Twilight Zone series will be produced by CBS Television Studios in association with Jordan Peele’s Monkeypaw Productions and Simon Kinberg’s Genre Films. Jordan Peele, Simon Kinberg, and Marco Ramirez will serve as executive producers for the series and collaborate on the premiere episode. Win Rosenfeld and Audrey Chon will also serve as executive producers. The original The Twilight Zone took viewers to another dimension, a dimension not only of sight and sound but of mind. Created by Rod Serling, it was a journey into a wondrous land of imagination for five years on CBS, from 1959-1964. The godfather of sci-fi series, the show explored humanity’s hopes, despairs, prides and prejudices in metaphoric ways conventional drama could not. In 1983 Steven Spielberg produced a big budget anthology film version, Twilight Zone: The Movie, directed by Spielberg, John Landis, Joe Dante and George Miller. The show was revived by CBS in the 1980s and ran for three seasons, helmed by the likes of William Friedkin, Atom Egoyan and Wes Craven. It was revived again on UPN and hosted by Forest Whitaker in 2002 for one season. Another revival was attempted in 2012 with Bryan Singer (X-Men: Days of Future Past), who was to develop, executive produce and direct. The post Adam Scott Joins Jordan Peele’s The Twilight Zone Reboot appeared first on ComingSoon.net.